Adobe After Effects is a complex professional level software mainly used for 3D creation, complex tracking, encoding etc., but you can also use it to do some video editing like Chroma key. Green screen is a post editing technology that lets you layer and get an item from a chroma. The imagination of green screen is no limit if you know how to do green screen (Chroma key) in After Effects. Here is the step by step guide that can help you to learn about how to use chroma key effect for your videos in After Effects. Step 1: First of all, you need to create a composition in your editing tool and it can be done by simply dragging the desired video clip over composition icon available on screen. Note that, it is possible to send video footage to After Effect using a dynamic Link from CC or CS6. 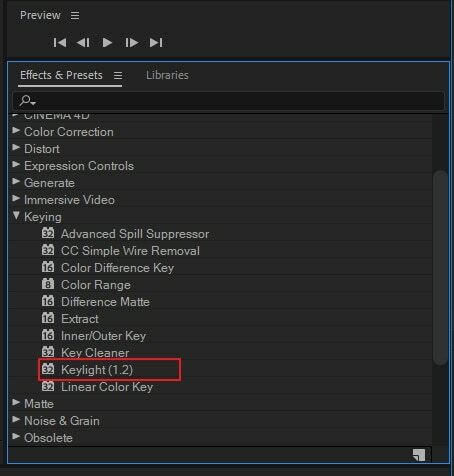 Step 2: Now go to the Effects and Presets option on After Effects window and from the drop down menu you have to apply 'keylight' to the video clip by simply using double click. Step 3: It is time to hit the eye dropper tool named as 'Screen Color' and then click on your image at specific green screen section. 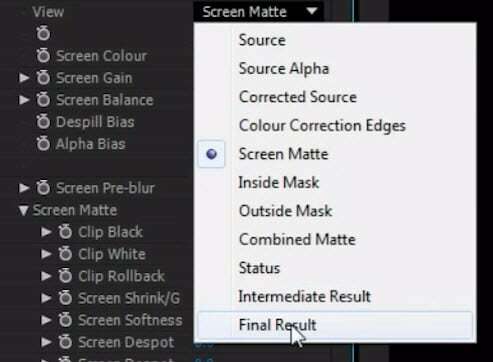 Step 4: Simply scroll down to find the 'Screen Matte' option and get it opened in the menu. 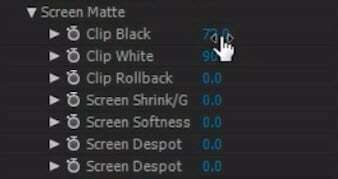 Step 5: You need to adjust the 'Clip White' and 'Clip Black' settings till the time background section of your video goes completely black and the foreground becomes whiter. Try to reduce the spotting effect. Step 6: Again go to the view option and from drop down menu select 'Final Result'. Soon you will be able to find a cleaner Key. 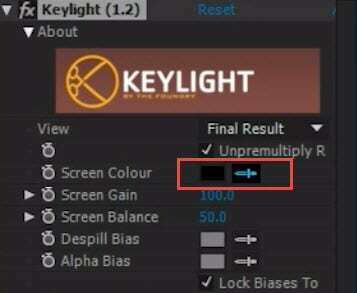 Step 7: Users can also make adjustments for 'Screen Shrink/Grow' settings that can help to get rid of rough edges. There is no doubt to say that green screen effects provide stunning looks to your videos but it is not easy for beginners to adjust these effects in advanced softwares like After Effects. It is possible to make your videos more effective using FilmoraPro software that has lots of user friendly editing tools. 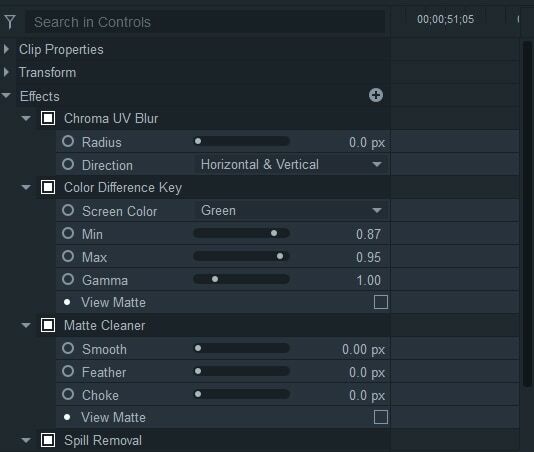 Below are few easy to follow steps to complete Green Screen adjustment task using FilmoraPro platform. Donwload it now to make green screen (Free). Open FilmoraPro and get started. Drag green screen clips onto the timeline. 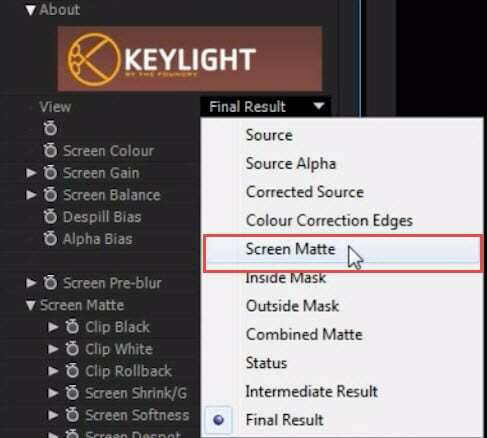 Go to effects panel to go find greenscreen key. You can just search in the toolbar. Grad it onto clip in the timeline. You will find the green screen background has disappeared. Now, import the background clip if you want to blend the green screen clip into it. You can also better the outcome by changing the radius, direction, gamma. Take a preview of your video and if everything is fine then just hit Export button. The importance of green screen: If you want to have a smooth editing experience, it is better to do things right at first, so it is essential to prepare clean and big green screen. Bu sure no wrinkles! In order to avoid shadows, subjuct should be in a proper distance with green screen. Use online material: If you don't have the budget and time to shoot green sceen material, you can also go to online store to download or buy material from VideoBlocks. Above are 2 methods to make green screen in After Effects and FilmoraPro. Which one you like? Check this video below to know more about FilmoraPro.